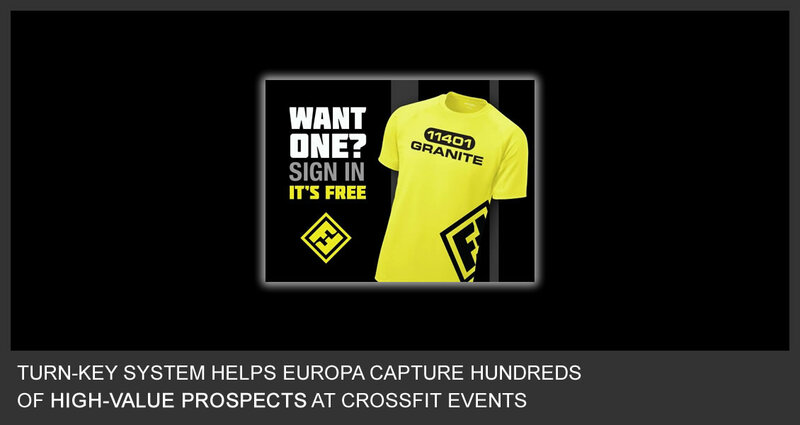 A distributor of sports nutrition products Europa attends fitness events all over the country to connect with their ideal customers; gym operators and Cross Fit owners. Capturing contact and preference information with iCapture at these events lets Europa continue marketing its products after the events are over. Input your information and get a prize; a simple and effective way to build an email list. Europa gives everyone who inputs an email a cool gift. Its a great incentive as well as a way to say thank you. With iCapture’s multiple choice capabilities Europa’s team can determine prospect’s preferred brands and products. This lets them target customers by brand loyalty at the same providing valuable market research. A customizable Terms and Conditions page makes very clear what prospects can expect when inputting their email. To agree they a touch of a button.